Peaches and Paprika: Happy Easter to our friends! Hello, just checking in to say smooch smooch, kiss kiss and sending love to our blogging friends. It is so wonderful to share our love of animals with each other. 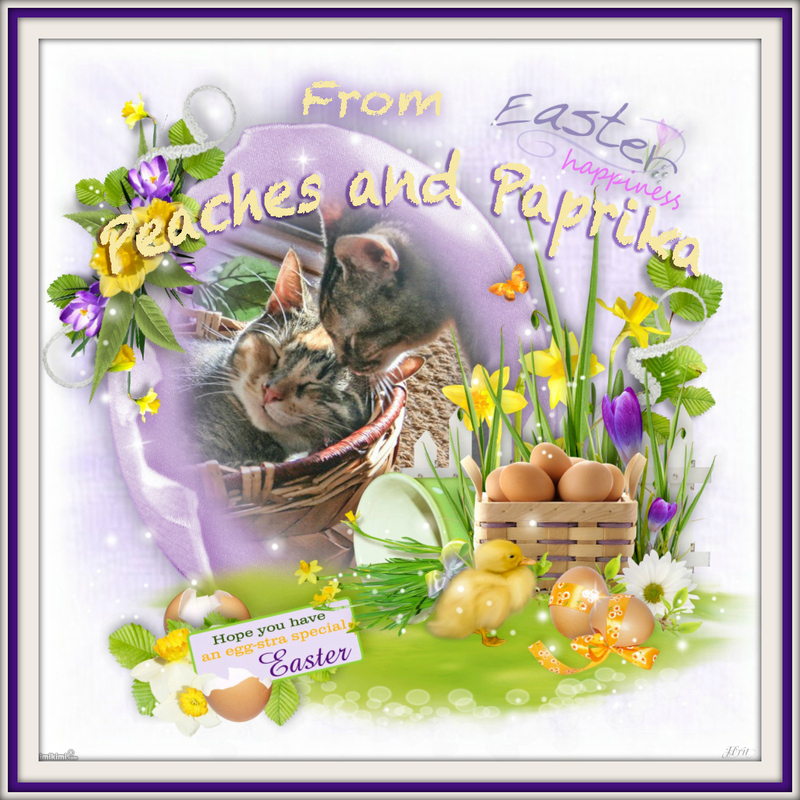 Thanks so much for being an important part of our lives and Happy Easter to you all!!! Awww Thank you, and the same from us at the Palace. Have a very Happy Easter! Happy Easter to all three of you lovely ladies! Happy Easter to your house from ours. It's good to see you and your gorgeous card!